Car and truck lockout services. Car key cutting and programming. Car key extraction & Retrieving keys from trunk. We accept most cards , payment is possible by credit / debit /cash . Are you locked out of your car ? Is your key lost or broken ? Don’t let this unpleasant situations ruin your day ! At Asecure Locksmith we understand the meaning of an emergency situation , Therefore we are there for you as soon as you make the call ! 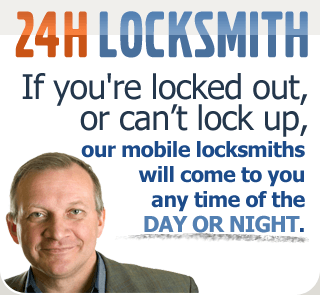 All of our locksmith technicians are available 24 hours per day , 7 days per week . We will arrive at your location with the necessary tools and equipment to handle any car lock problem you may have. Remember that during an emergency situation you don’t have much time or choice and you might find yourself paying more money than is necessary , as well as wait much longer than expected . The first thought usually comes to mind is calling the dealership. This may be a terrible mistake as the dealership will have a tow truck retriever your vehicle and bring it to the dealership for their mechanics to fix the lock problem. This will not only take hours and possibly days and will cost you more than you can imagine. Now, if you call us, A Secure Locksmith, we will arrive to your location and fix the problem on the spot. We offer a wide array of auto locksmith services including unlocking car doors, auto lock picking, lost car keys replacements, and much more.